ART STEPS NEWS & NOTES! 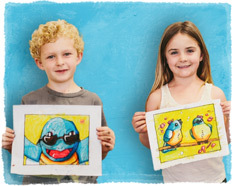 Tag Art Steps: Enter to Win a Month of Classes for Free! Show off your talented kiddo! Each time you tag us while featuring Art Steps art, or check in at the studio, you create a new contest entry. On March 1, we will draw a student from among the entries for each location!